Each family will pay their individual bill at the restaurant. 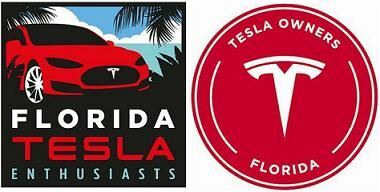 Come join Florida Tesla Enthusiasts and the Southwest Florida EV Owners to celebrate the opening of the the new 14-terminal Fort Myers Supercharger Station. We will be having a meet-up and lunch at the nearby Texas Roadhouse Restaurant located at 8021 Dani Drive, Fort Myers, FL, 33966 starting at 11:30 am on Saturday, August 4th. Each family will pay for their food and drinks individually at the restaurant. For Tesla owners the location of the Supercharger Station is programmed into your navigation system. Please make sure you select the Fort Myers Supercharger at Dani Drive, not the one at Gulf Coast Town Center. There are 14 - 120 kW Tesla charging terminals available. For people wishing to remain in the area overnight, the Hampton Inn & Suites Fort Myers-Colonial Blvd has a Tesla Wall Connector and a SAE J-1772 Charger and is 3 miles from the Texas Roadhouse.